What a crazy weekend! I promise for some house updates ASAP but didn’t want to make you wait one minute for this sweet treat from my friend Lauren! I had the ultimate pleasure of meeting Lauren on my last weekend in Kansas City and let me tell you – she is a true gem. I really can’t wait to spend more time with her in the future. Go ahead and take a gander at her blog and her zest for life will immediately catch you. She is so down-to-earth and her weeknight dinner recipes will knock your socks off. Check it out: wonton buffalo chicken bites (does she know the way to my heart or what!? )//BLT dip//pale ale shrimp po’ boys//Just go check them all out! I’m Lauren Grier, the author of Climbing Grier Mountain (CGM). For those of you I haven’t met, I live in the Mile High City and write a food and lifestyle blog. On CGM, you’ll find scrumptious recipes for foodies of all levels and endless amounts of documented shenanigans (i.e. me face-planting into snow). So, if you ever need a recipe for a good bowl of spicy red lentil soup or coq au vin accompanied by a few chuckles, stop by and say what’s up! I’m thrilled to be guest-posting for Cassie today! I met Cassie a couple weekends ago while visiting family in Kansas City. You probably already know this: Cassie is as nice as the day is long, and her excitement for life and food blogging is absolutely infectious. So when she asked me to guest-post while she and Paul packed up and moved to a new city, I was on it like spandex on Superman. Since Valentine’s Day is five seconds away, I thought I’d share with you a recipe I whipped up a few weeks ago. Confession: I am not a baker. I do not go to sleep dreaming of bunt cakes and baklava. But, I’ve gotta admit, there’s something very romantic about baking. And candy. So, here we go! Have you ever had Pop Rocks? (If not, this post will self-destruct in 2.2 seconds.) Just kidding. As a kid, I loved these fizzy little guys. Strawberry flavored all the way, I might add. So I figured, why not incorporate these crackling treats into an easy dessert that would receive the Make-Out Seal of Approval. I wanted to steer away from molten cakes and soufflés because I’d rather pound dirt than bake a difficult recipe at high altitude. That’s why I decided to go down the chocolate-y, no-flour-required, tons-of-butter path. The crusts on these little cute tarts consist simply of crushed chocolate graham crackers, melted butter, and granulated sugar. Mix all the ingredients in a bowl, put a small amount of the chocolate mixture into each baking cup, bake for a few minutes, and freeze. While you wait for the crusts to set, sip some red wine, nibble on a few chocolates from that red, heart-shaped box from Russel Stover, and start making the filling. Is there anything better than melted chocolate and cream? Once the chocolate filling has cooled, pour it into each crust and top with the Pop Rocks. Let the Oooooohhhhing and Ahahahhhhhhing begin. Or, if your significant other is anything like mine: “Looks good, babe.” Someone pass me Cupid’s bow and arrow. Thanks for letting me guest post today, Cassie! Cheers to you and Paul on your new adventures ahead! 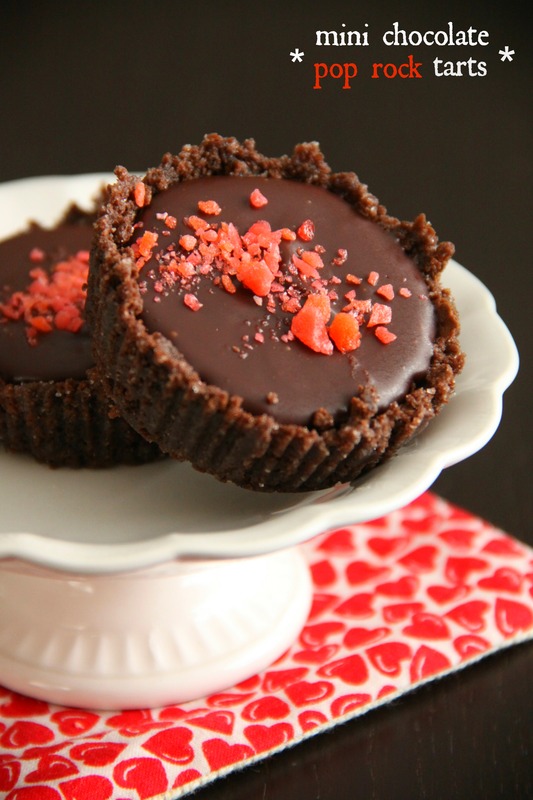 Mini chocolate tarts with a favorite childhood candy - Pop Rocks! Perfect for a unique Valentine's Day Treat. Preheat oven to 375 degrees. In a large bowl, combine crushed graham crackers, sugar, and melted butter. Line a muffin tin with 12 cupcake liners. Evenly disperse the graham mixture among the liners (fill about 3/4 away). Bake for about 6 to 8 minutes. Remove crusts from oven and let cool. Place in freezer for 20 minutes so the crusts can harden. 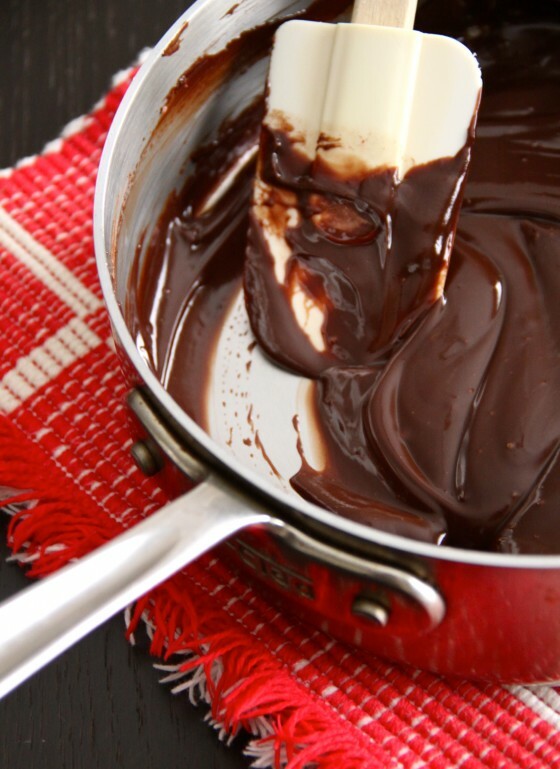 In a medium saucepan, melt chocolate over medium-low heat. Add cream. Stir until combined. Remove from heat and let cool. Then, pour the chocolate mixture into each graham cracker crust just high enough to not over flow. Garnish with Pop Rocks on top. Place in freezer for 20 minutes to set. Once set, remove from freezer and pull the baking liners off and gobble with your lovie! Recipe by Lauren Grier of Climbing Grier Mountain. At first I thought this post was going to have chocolate Pop rocks it! I was going to die. Looks so good. Thanks for sharing. These look so amazing! It has been so long since I’ve had pop rocks. I actually just discovered Lauren’s blog earlier this week and have been loving it! omg these are so cool! I totally miss pop rocks now! Its been foreverrr! These are awesome! These are super fun! I saw poprock truffles on Love and Olive Oil a little while ago too. Loving the use of pop rocks. It’s so fun to meet Lauren, thanks for the intro, Cassie! Pop Rocks are my love. Really. I’m transported right back to the 70’s. I want one of these tarts! Looks super tasty and pretty easy to make! I love poprocks! The kid in me loves pop rocks! This recipe is great! I made something like this with Pop Rocks once and the Rocks began popping immediately after hitting moisture and kind of lost their popping thing eventually. Does that happen w/ these? They’re darling! and the award for the most creative chocolate recipe I’ve seen in awhile goes to you Lauren! So glad you guest posted on Bake Your Day today! I haven’t had pop rocks in forever and I certainly have never combined them with chocolate before. I love these! Fun, fun, Fun!! We’ve GOT to make these. How fun is this, I would never have thought to cook with pop tarts, but I’m loving the idea! Pop Rocks rock! I’m heading over to check out Lauren’s blog…now! Cassie, you are SO FUN! I love these! Have a great weekend, friend! STOP with the awesomeness!!! LOVE! Pop Rocks!!! I haven’t thought about pop rocks in years! This sounds amazing and fun! Pop rocks are awesome! Love this. I happen to have a ton of rock candy I was given once for a blog post that I was supposed to write. These are a perfect way to use it! Mmm I love unexpected Pop Rocks. And great action shot of the warm chocolate – makes me want to get in the kitchen right now! Haha, so funny. And these little things are so stunning! I love the pop rocks addition too! These are fabulous Lauren! So perfect for Valentine’s Day! 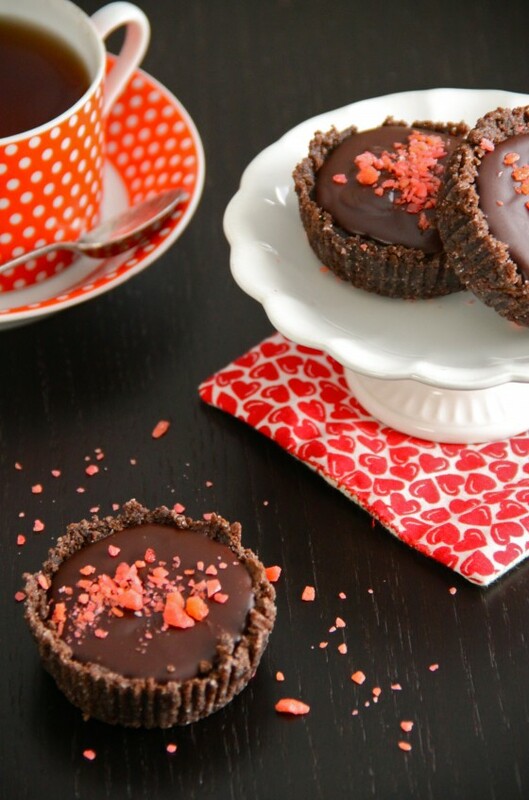 These tarts are such a fun idea! Pop Rocks and chocolate, such a brilliant combination! 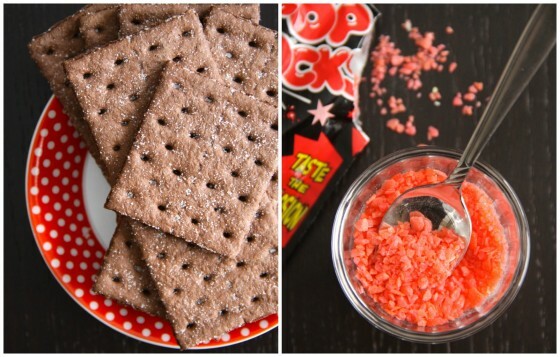 Pop rocks are crazy..crazy good in this recipe. Genius!! Awesome guest post! I met Lauren at mixed and I absolutely adore her! Oh and these tarts are a must! I haven’t had pop rocks in so long! Gosh darn these look seriously amazing!!!! Very nice guest post! What a fun and festive dessert and I always love “meeting” new food bloggers! Those tarts are just gorgeous and so simple! These are SO cool! I think my little brother would love baking these with me. awe I love Lauren and these pop rock tarts look fab! These are so cool! I love the pop rocks on top! These are so much fun and I love how cute these little tarts are! These. Are. Incredible. Oh my gosh, I want one now! what a fun idea..kids love poprocks! I haven’t seen pop rocks in forever. Last time I saw them I bought some and tricked my kids with them!